Fresh design elements are here! 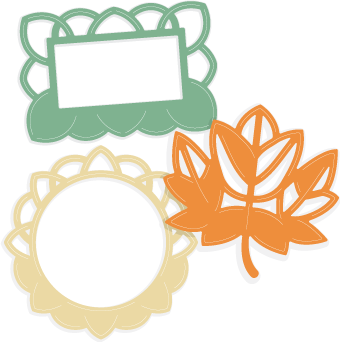 These two frames and leaf element are the latest addition to our Free Designs (there are hundreds)! Download yours now! All downloads are in Zip format and include the SVG Files for use with any SVG-file-compatible software, such as Cricut Design Space, Sure Cuts A Lot, eCal, Canvas, Make-The-Cut, and Silhouette Studio Designer Edition. Like the Freebie? Check out the new Fall Weekend SVG Kit!